Shipping prices are for US only. An additional fee will be requested for international shipping. to view, change quantities and remove the items in your cart. 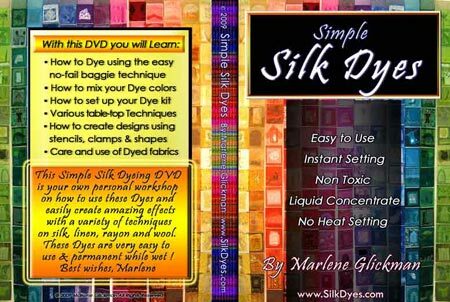 Spend an hour with Marlene and learn how much fun it is to be able to dye silk instantly with non-toxic dyes that need NO heat setting and are PERMANENT WHILE WET! Hundreds have already been amazed at how anyone, whether talented or not, can create beautiful, professional looking silk scarves in only ten minutes! "So i've had a chance to play with my new dyes and thought i'd give you some feedback after all your help and encouragement. "First, i LOVE how wonderful it is to work with them. I love the complete lack of the "tar baby" effect that's so annoying when i work with paint. The workspace stays clean, the fabric can fold back on itself without worry. There's nothing dripping on the floor, i don't have to use up a lot of space keeping stuff spread out while it's drying, etc. and they're better than other dyes, too - just one step - dilute with water. They are really phenomenal. Of course, you already know that. What can i say? I think it's very exciting. "I'm really giving my color theory studies a road test with mixing colors. It's so wonderful to be able to experiment so quickly. Your notes about the colors are right on. "I'm planning a quilt that looks like an antique map and i was able to get a vintage khaki-ish sepia color that i'm very pleased with. It's very exciting. "I've been surprised at how far the little bottles go. It seems like i've done a good bit of experimenting and i keep expecting to look down and see that the bottles are low - and they're not. "Feel free to quote me. this stuff is wonderful. i ordered more silk last night and keep coming up with more things i want to try with it. "Thanks again for all your help,"
These are the easiest, fastest liquid dyes I have ever used. Light to dark colors are possible. No heat is required to set the dyes. They are PERMANENT WHILE WET. Super concentrated. About 20-30 drops of dye mixed in 2 ounces of tap water for a medium color. Can be applied with plastic pour bottles, spray bottles, paint brushes, sponges, etc. creating a variety of effects. Use with silk, linen, wool or rayon, but they are not permanent on cotton. Results vary depending on the texture and content of your fabric. 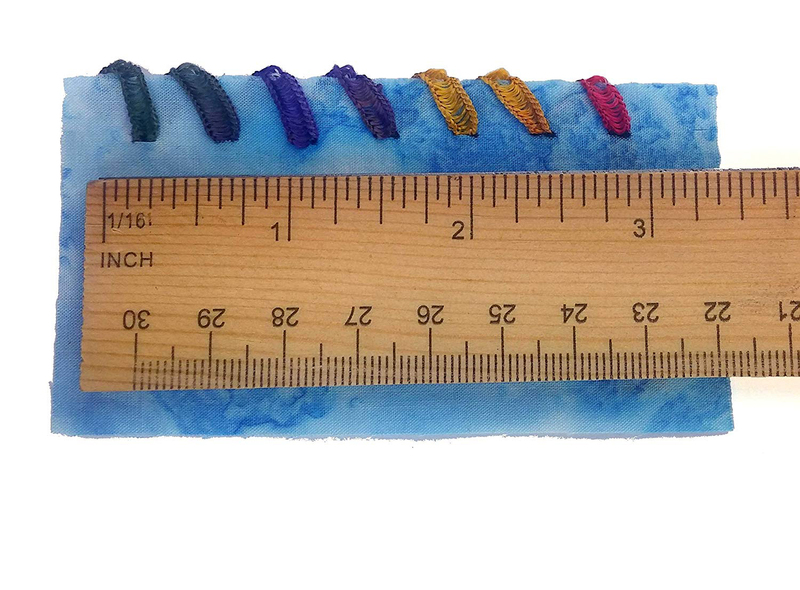 Can be used to overdye fabrics that have already been dyed, thus recycling your textiles. Use gloves to simplify the clean up. Great for kid's projects, such as hand-dyed silk scarves for Mother’s Day gifts, Father’s Day handkerchiefs, painted pillowcases and purses. 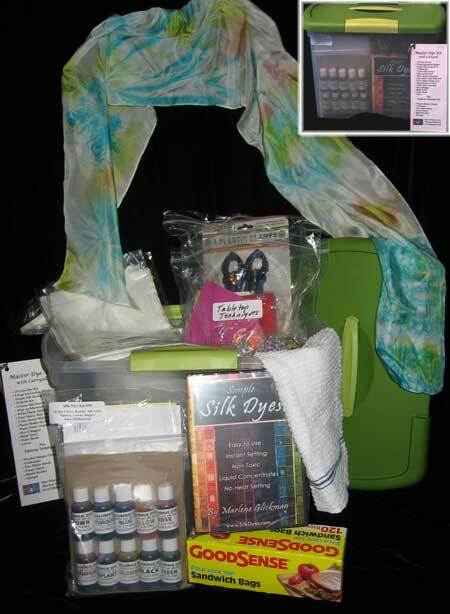 The kit includes 10 colors: Rose (new red), Goldenrod, Yellow, Pumpkin, Eggplant, Blue, Turquoise, Green, Brown, and Black (½ ounce each); 2 pipettes for mixing colors, 1 silk scarf for dying, 2 gloves, 2 baggies and an 8-page instruction booklet with 16 techniques for dying and surface design. PLEASE NOTE: All the dyes MUST be mixed with water before use. 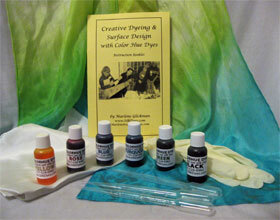 You can use small bottles or the bottle kit below, which has flip tops and spray tops for various techniques. When you are just getting started in a new medium and are gathering the supplies, have you ever wished you could just grab a carry all and have everything in it you need to work with in one place, not have to shop around and find things or wonder if you got the right tools or supplies? 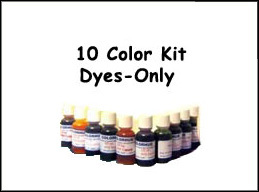 Then this dye kit is for you. I realized when I do my own dyeing how simple it is with my carryall full of things to dye with. 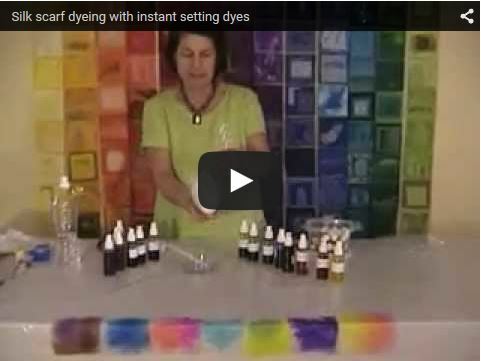 It is also easy if someone asks me to show them how to dye a silk scarf. 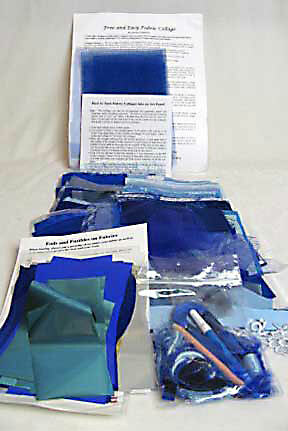 I just whip out my Master Dye Kit (This is just like my personal dye kit at home.) and set up a little plastic table cloth (I have given you my big clear one and white plastic one.) and give them a scarf, baggie and ask them what color they would like and they are ready to dye. It is that easy! 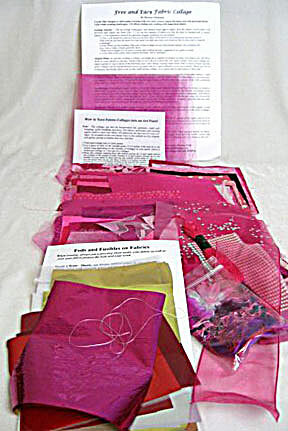 Enjoy creating new designs with this Tabletop Techniques Kit which includes supplies for applying the Color Hue Instant Setting dyes using stencils, laces, tiny bands, clothespins, plastic coins, sticks and clamps and more. 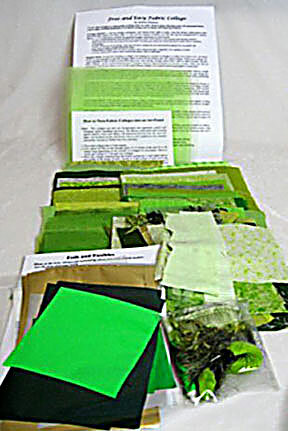 Instructions are included in the new Advanced Dyeing for Beginners booklet inside the kit. 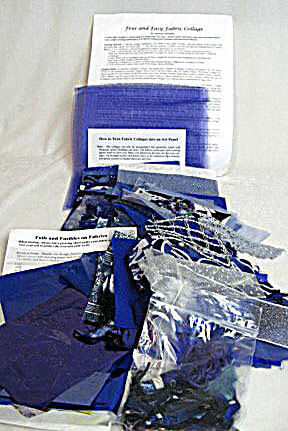 The Simple Silk Dyeing booklet (which comes with the 10 color or 6 Color Dye Kit) also has instructions. 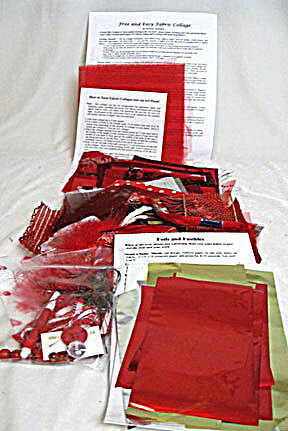 I've included this Tabletop Technique Kit in my Master Dye kit but am now offering it to those who already have the Color Hue dyes and want to expand ways they can use them. These are the easiest, fastest liquid dyes I have ever used. Light to dark colors are possible. No heat is required to set the dyes. They are PERMANENT WHILE WET. Super concentrated. About 20-30 drops of dye or 1 pipette (only half full) mixed in 2 ounces of tap water for a medium color. Add a second pipette of dye for a darker color. For pastels, add water to the mixed dyes. The dyes can be applied with flip top bottles or spray bottles, paint brushes, sponges, etc. creating a variety of effects. The concentrates can be thickened using shaving cream to pull through silk screens. Use with silk for best results. They also work on linen, wool or rayon (warning- the black dye turns blue on rayon), but they are not permanent on cotton. Results vary depending on the texture and content of your fabric. 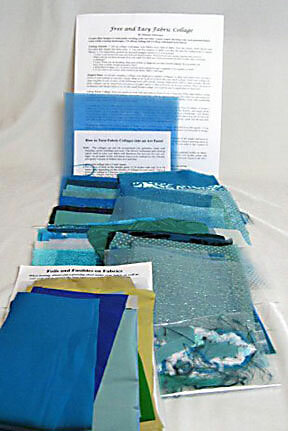 Can be used to overdye fabrics that have already been dyed, thus recycling your textiles. Use gloves when mixing the dyes and to simplify the clean up. 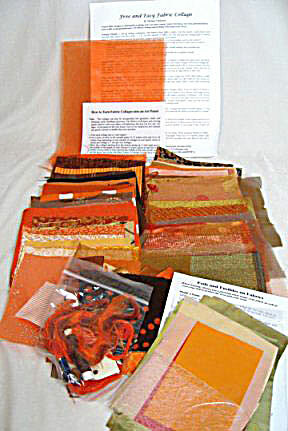 Great for making gifts items like hand-dyed silk scarves or creating hand dyed fabric for your fiber art or art quilt work. 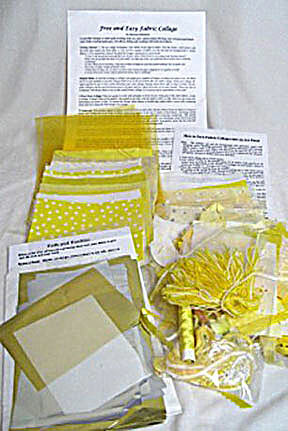 The kit includes 6 colors: Rose, Yellow, Blue, Turquoise and Black (= ounce each); 2 pipettes for mixing colors, 1 silk scarf for dying, 2 gloves, 2 baggies and an 8-page instruction booklet with 16 techniques for dying and surface design. Instructions for mixing colors with tap water are in the instruction booklet. To get Purple (Rose with some Blue added), Pumpkin (Yellow with Rose added), Green (Yellow with Blue added), Brown (Purple with yellow added). PLEASE NOTE: All the dyes MUST be mixed with water before use. 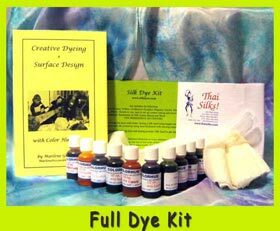 I never put the dye concentrate directly on the silk. You can use small bottles or the bottle kit below, which has flip tops and spray tops for various techniques. When you run out of your half ounce bottle of dye concentrate, I recommend you reorder that color in this 2 ounce size. Available in the same colors as are in the 10 color dye kit: Yellow, Rose, Blue, Turquoise, Green Pumpkin, Eggplant, Brown, Black AND Magenta (not in the 10 Color Dye Kit) but a beautiful color. It is cooler than the Rose color and when mixed with some Blue makes a great purple. Already have your kit? Just need some more colors? This is for you then. 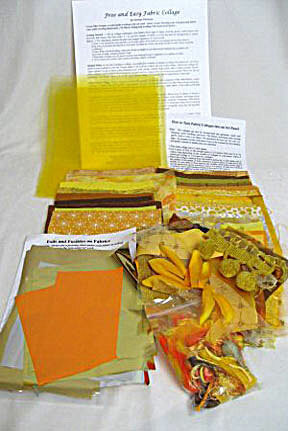 The kit includes 10 colors: Rose, Goldenrod, Yellow, Pumpkin, Eggplant, Blue, Turquoise, Green, Brown, and Black (½ ounce each). PLEASE NOTE: All the dyes MUST be mixed with water before use. 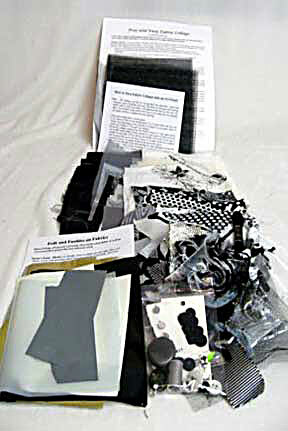 You can use your own bottles or the bottle kit below, which has flip tops and spray tops for various techniques. Includes five 4-ounce spray-top bottles and five 4-ounce pour-top bottles used for mixing and applying colors. All the dyes MUST be mixed with water before use. 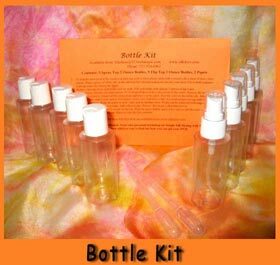 You can use small bottles or this bottle kit. 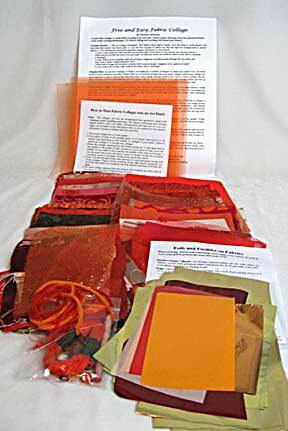 Note: This booklet is included in the 10 Color Silk Dye Kit. 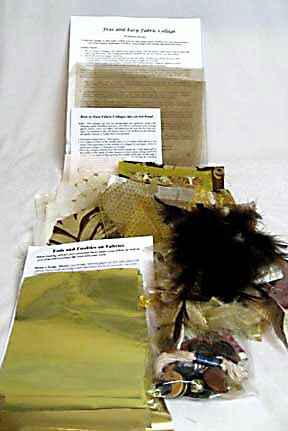 This 12-page instruction booklet details how to mix the dyes, set up your workspace, care for your silk and a resource list for supplies. The beginning techniques for dying include baggie and table top techniques using the spray bottles of dye to create sunset lines or zebra stripes, floral images, stencil resist images, clothespin resists, using the dye concentrates added to shaving cream to thicken them and pull through silk screens, misty silk paintings, hand-dyed silk beads and creating hand-dyed silk organza greeting cards. 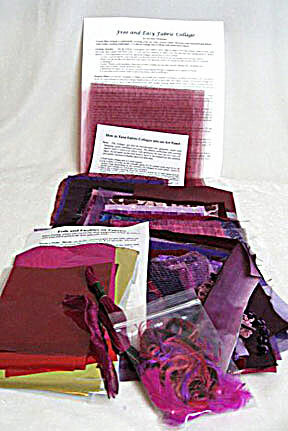 This 16-page instruction booklet details how to mix the dyes, set up your workspace, care for your silk and a resource list for supplies. It includes over 15 new and expanded techniques using Color Hue instant setting dyes on silk. 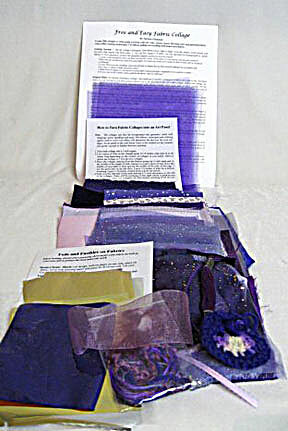 Included in the techniques are the use of knots to create repeating shibori lines; tiny plastic bands for making circular as well as rectangular designs; shapes under wet silk; stamps for transferring images to silk; clamps and sticks to make repeating squares or chevrons; gradation or dip dyeing; mandalas with clothespins; abstract designs; growing trees; silk screen imagery with dyes, Lumiere and discharge paste; bling with hot fix crystals (attached the easy way, without a wand) and a multi-color design. Click on the image or its description for a larger image. 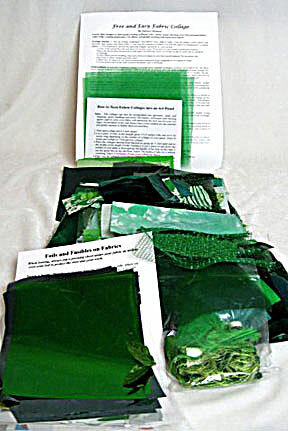 Each kit includes assorted base fabrics in light, medium and darker colors with prints, sheers, yarns and assorted small bits with which to collage. There are enough fabrics to do 7 - 10 collages. COMPATIBLE WITH ALL 45MM ROTARY CUTTERS including Olfa, Fiskars, and more. 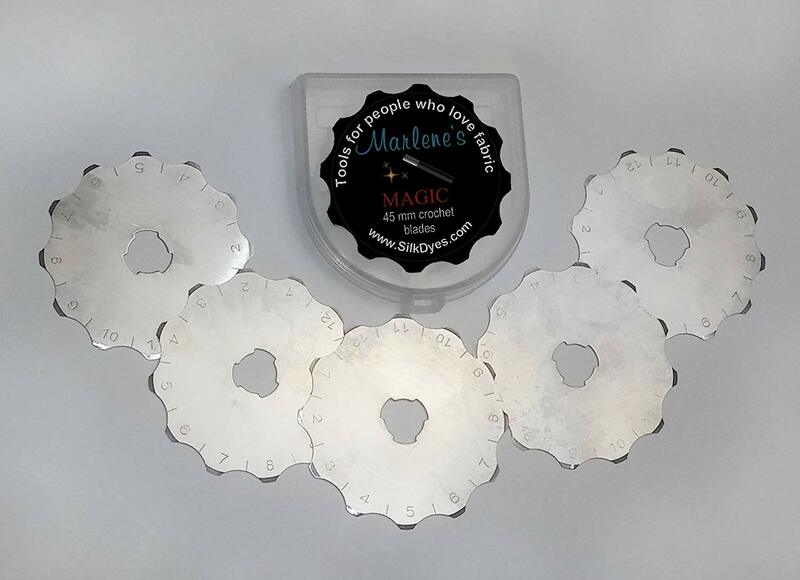 WON'T WEAR OUT QUICKLY - Cuts sharper, lasts longer! Made from high-quality steel - the same type that's used in knives. SUPER SHARP SO THEY CUT MULTIPLE LAYERS - Can be used for Fabric, Leather, Glass Fiber, Paper, and Nylon. You can add multiple packs on checkout. Shipping is only $2.50 for every 3 kits. Excess shipping will be refunded. 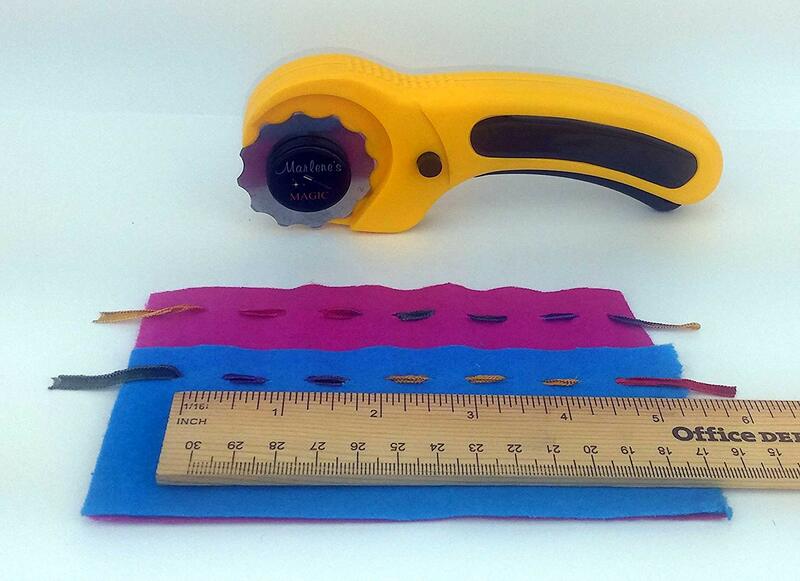 Perfect for Crochet Edge Projects such as Scrapbooking, baby blankets, etc. © 2007-2018 Marlene Glickman All Rights Reserved.